I’ve tried. I’ve admitted I have a problem. I’ve walked away from it, but I can’t stop listening. Former Jungle Cruise Skipper Kyle interviews other past skips about their experiences with the attraction to create an oral history. In many ways, Skipper Kyle is building this history for himself as he relives some of the best experiences of his life, but he lets the audience in and I’m thrilled he has. In this informal and relaxed setting the stories from the Jungle Crews flow naturally as two to three friends having a conversation. 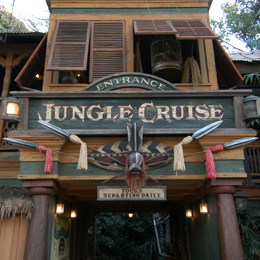 Some of the stories, many, of them may not be Disney Legal approved, but for The Jungle Cruise fan these are the stories we want to hear. 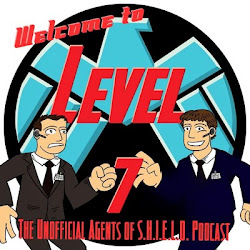 The skippers share their best behind the scenes stories (including some that may get you fired), tales of celebrity encounters, their best non Disney sanctioned spiels and of course their rehire status. Rehire status may seem like an innocent question, but it often serves as the best story catalyst to get to the answer of no-rehire status. This show is so highly addictive. I won’t be able to look at ducks in the rivers again. Aerosmith will now forever break me into smiles. And I’m pretty sure that I will be yelling, “This belongs in a museum!” to entertain myself for months to come. I have heard ghost stories from the park that I have never heard. And I love hearing about Jack Lindquist the celebrity. I do have to give a word of warning. The former Skips clearly loved working the attraction. They also were fans of keeping the magic when working for the ride. And though they attempted to keep most of their questionable activities off stage, sometimes this podcast gets a little blue. Simply, if you see the Explicit tag on some episodes, believe Skipper Kyle, because the contents will either include profanity or a story that you don’t want to explain to the children. I’ve expressed my love of The Jungle Cruise before. But it’s worse now, I’ve decided that I have missed out on an important life experience. "Tales from the Jungle Crews" has confirmed my belief that the Skippers are the cast members having the most fun. I wonder how my fellow commuters in Betweenland would feel if I started spieling during the morning train ride. They will be stuck with me for 25 minutes! I mean they will be entertained for 25 minutes! I hope that people will join us over at http://www.Facebook.com/JungleCrews for the latest updates and some other fun jungle activities. It is a labor of love, and I am really hope we can continue doing this, and finding skips from other generations. Keep it up Skipper Kyle! I love this podcast and have iTunes set to download when the next one is available. I can't tell you how many times I have bored, I mean entertained my friends just by telling them about the podcast. Walt's Windows - Disneyland U.S.A.